By Jason Davis – WASHINGTON DC (Oct 19, 2018) US Soccer Players - The numbers don’t lie, as they say. Orlando City’s 2018 MLS season is the stuff of history, but not the good kind. With two games remaining on the club’s regular season schedule the Lions have already set a new standard for defensive frailty. Through 32 matches Orlando has conceded 72 goals, besting the previous ignominious mark of 70 set by Minnesota United in 2017. Keep in mind that the Loons were an expansion side, a cobbled collection of players playing out a campaign together for the first time in a temporary venue. Orlando City is in their fourth season in MLS. They're playing in a purpose-built home engineered specifically to augment the noise and influence of its fan base. Things aren’t really much better on the attacking end. Orlando’s last goal before Wednesday’s lone tally came in a 2-1 loss to Seattle came on September 1, a stretch of 507 minutes. Since firing head coach Jason Kreis on June 15, the Lions have one win and a -27 goal differential. Only a six-game winning streak from March 6 to May 31 that clearly papered over some latent problems that would manifest down the line will prevent Orlando from finishing with the league’s worst record. In other words, Orlando’s season is one of the worst in the league’s 22 years of existence. Wooden Spoon or not, the Lions' smoldering wreck of a campaign stands out for just how far from the mark the club came after a hectic offseason of roster rebuilding. No other team in the league stands on the wrong side of a gaping chasm between expectations and results as large as Orlando City’s. They’re used to falling short of the playoffs in Orlando, but 2018 represents a new level of misadventure. This was the year that Orlando made the playoffs and claimed a spot among the better teams in the Eastern Conference. This was the year that Orlando move into the upper echelon, not just for one season but for the foreseeable future. This was the year that Orlando finally got it right. 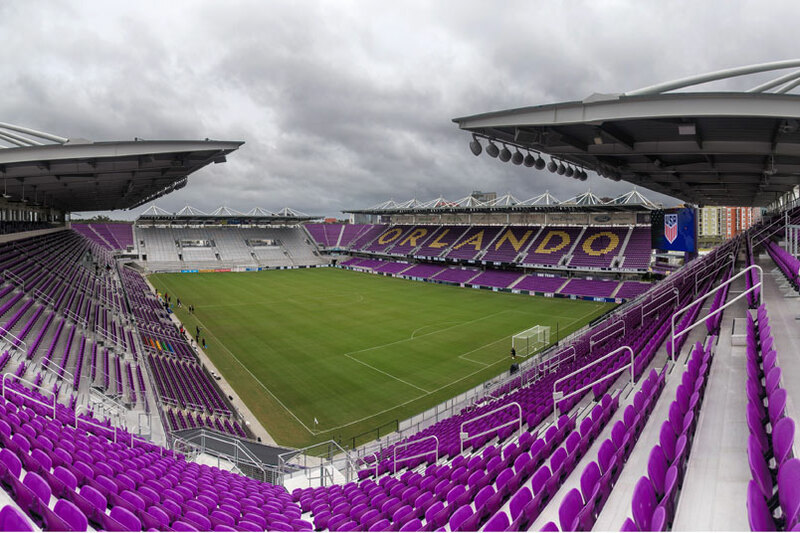 Before we get to what went wrong, let’s consider the winter that led into the 2018 season and all of the moves Orlando made aimed at playoff qualification. In January, the Lions swapped $150k in allocation money and two players for New York Red Bulls midfielder Sacha Kljestan. At the time, the move seemed smart. Kljestan was fresh off a three-year stint in New Jersey when he was the League’s best playmaker. The Lions needed someone to replace the retired Kaka. Two weeks later Orlando dipped into South America, following the lead of a number of MLS teams mining the continent for young talent. They signed Josue Colman from Cerro Porteno of Paraguay. Reports pegged the fee at $3m with Colman joined the Lions as a Young DP. Another two weeks brought Justin Meram to Florida in a trade with the Columbus Crew. Meram’s excellent 2017 made him a highly prized trade target after he expressed a desire to leave Ohio for a new challenge. Orlando swapped just over a million dollars in allocation money to Columbus for Meram. They banked on the winger replicating his 13-goal, five-assist output the year before. Further additions included former Sporting Kansas City midfielder Oriol Rosell from Sporting CP of Portugal, Lamine Sane from Werder Bremen, and former RSL defender Chris Schuller. Following 2017’s blockbuster and then-record trade for Sporting KC striker Dom Dwyer, Orlando was clearly aiming for a high-scoring 2018. Through a combination of injuries, lineup turnover in part caused by those injuries, and underwhelming performances, the Lions failed to turn those high-price constituent parts into a competent team. On paper, the roster looked good enough to make a run to the postseason. In practice, the brief run of victories the club put together against a weak collection of teams in the early going was the best the Lions could do. Whether or not Jason Kreis was the problem is still a question. Balance was an issue from the beginning. Kreis tinkered in a bid to fix the issues, but 15 games into the season he was gone. At the time, the Lions still sat above the playoff line in the Eastern Conference. Their position was already tenuous. The choice to fire Kreis came after a six-game losing streak and the Lions leadership clearly saw the head coach as responsible. Passing judgment on new head coach James O’Connor’s tenure with Orlando to this point almost seems unfair. He didn't design this squad around his tactics, after all. What he has done that's visible from the outside is prompt more competition for places across the team. The dog-eat-dog environment seems fitting for a team with commitment issues. It also appears to have depressed morale even further. None of the expected performances from the off-season’s big acquisitions materialized for the Lions. Kljestan’s numbers dropped off dramatically as he struggled to find the same spaces he did with the Red Bulls. Rosell has missed games in spurts due to injury. Perhaps the most obvious miss on the winter signings and the best example of Orlando dysfunction in 2018 was Justin Meram. The 29-year old never settled with the Lions and eventually clashed with fans in Florida when his play didn’t meet their standards. He took a brief absence from the team before ultimately requesting a trade. The club acquiesced, shipping Meram back to Columbus and taking a loss of $300k in allocation in the process. None of the other MLS also-rans in 2018 invested nearly as much in the campaign, in terms of combined monetary and emotional investment, as Orlando City. The margins for a few clubs were always going to be small, with the chances at the playoffs coming down to a few games here or there. For others, the prospects of clawing out enough points to make 6th-place were long, simply based on having underwhelming rosters built on limited budgets and/or brand new coaches with no MLS experience. The greater the expectations, the harder the fall. No one presumed Orlando to be an MLS Cup contender in 2018. No one expected the Lions to crash so spectacularly. A regular season that went down to the wire and ended with the club barely missing out on the postseason would have hurt. What Orlando is facing is another offseason trying to figure out what went wrong and why they can't seem to get it right in Major League Soccer. Jason Davis is the founder of MatchFitUSA.com and the host of The United States of Soccer on SiriusXM. Contact him: matchfitusa@gmail.com. Follow him on Twitter:http://twitter.com/davisjsn.